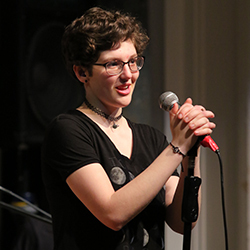 The NYA performing arts program fosters and encourages all students to journey down the path of self-expression. Singing, acting, or playing a new musical instrument: whatever your passion may be you will find it here. Students learn their lines and sheet music and, in doing so, build self-confidence that prepares them for the world outside of the spotlight. We take our work very seriously, but we never forget that music is something that you play. For those truly dedicated to a future in music, take a serious step towards that goal and graduate with a Diploma with Distinction in Music: Entrepreneurship, Performance, and Community. NYA Lower School Students are introduced to music of all styles and begin performing as a group in third and fourth grade when introduced to the violin. 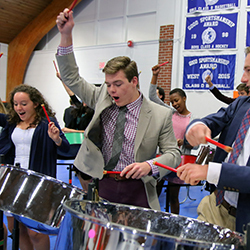 Middle and Upper School students can choose to play in an ensemble that best fits their musical preference: Band, Jazz Band, Wind Ensemble and String Ensemble are very popular and explore traditional concert band material. Other groups delve into cultural roots and more focused styles. Find your island rhythm on steel drums in Steel Band; rock out in Studio Band and be a star on stage at the year-end gig, The Last Waltz; immerse yourself in Americana with roots sounds in Bluegrass Band. If none of these peak your musical interest, create your own: We’ve had a Beatles Ensemble, a Samba Brigade, a hip-hop group, a Shakuhachi ensemble, and an Irish group. If you want to make it happen, we’ll do everything we can to support you! 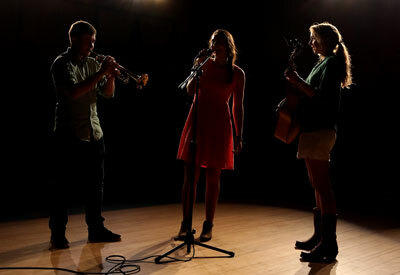 The quote on the wall of the Black Box Theatre says it best, “The woods would be very quiet if no birds sang there but those who sang best.” Every Middle School student studies basic music theory and vocal performance techniques based on the National Standards. Students apply their knowledge as they sing a variety of compositional and cultural styles. Students are also invited to participate in smaller groups, including Girls Singers and Boys Singers, and to audition for District II Festivals. 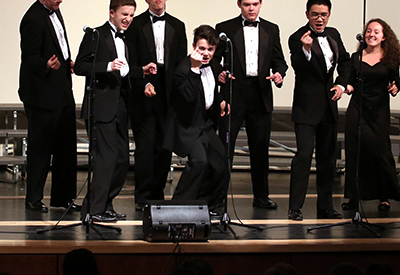 Upper School repertoire of choral music, includes folk, pop, spiritual, classical and novelty songs. Theory skills, sight-reading, ear training and good vocal techniques are developed and reinforced. 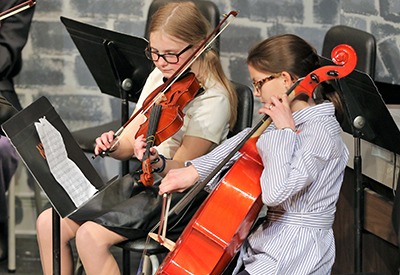 Students are encouraged to participate in small ensembles (Men’s, Women’s and Mixed) and audition for District II and All-State Music Festivals. NYA offers AP Music Theory to Juniors and Seniors who wish to develop further their skills in musical composition and ear training. AP Theory emphasizes fundamentals of traditional harmony and counterpoint, vocalization of intervals, scales and sight singing. NYA’s Varsity Singers have been featured in a promo for Maine’s local NBC affiliate, WCSH 6. 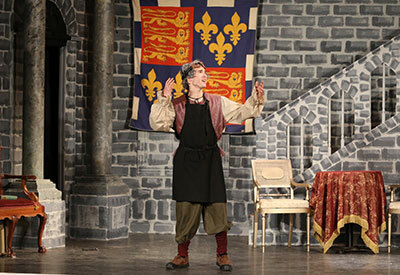 Theatre Arts at NYA are a collaborative and communal effort in service of creativity. Our casts have ranged school wide, from Lower Schoolers filling orphan roles in Annie to Middle Schoolers starring in the Addams Family. It is not uncommon to have cast members contribute their musical talents in the pit orchestra when they are not needed on stage. 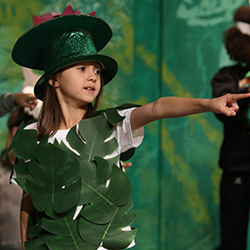 This extracurricular program fulfills our after school activity requirement, whether students are up on stage or backstage with the tech crew. So come sing and play. Become part of our Treble Chorus singing “Al Shlosha D’varim,” the ‘Beatles’ singing three-part harmony to screaming teenage girls, the jazz combo delving into the world of bebop harmonic improvisation, the Middle School Band playing a Sousa march, or the string ensemble performing Stravinsky. Play your senior recital or perform with one of our small groups at a local gallery opening. Deliver a dramatic soliloquy or make the audience laugh. The part is yours.